The Level E Homeschool Bundle includes one of each of the following items. 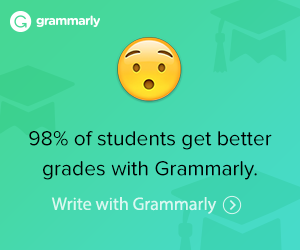 It’s a consumable spelling program for 5th grade. 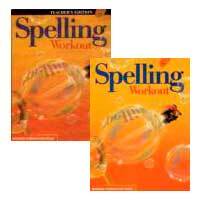 MCP Spelling Workout E is available in a homeschool bundle with the teacher guide and the student workbook for each level. Lessons are in a 4-page format. There are 36 lessons. Every sixth lesson is a review of the previous five lessons. 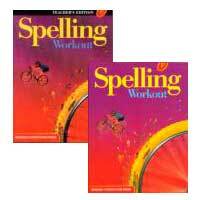 There is a dictionary at the back of the student workbook and the teacher’s edition. Printed in black and white with shading and highlights in another color. It uses a Zaner Bloser cursive font. There are proofreading exercises for the student to find the misspelled words. 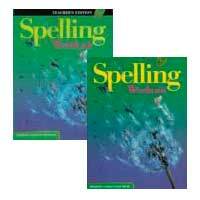 Level E shows spelling lists in cursive. 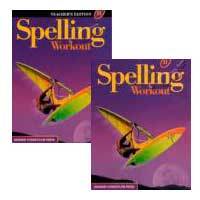 The Spelling Workout E Student Workbook is consumable. You will need one copy for each student. 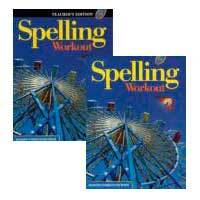 The Spelling Workout E Teacher’s Edition has the lesson plans and answers.